How does one live in the shadow of a man, albeit your father, who was the leading theologian of the day? The answer is simple enough really. You engage in your calling faithfully and fully. Such a man was James Waddell Alexander. Born near Gordonsville, Virginia, in 1804, the eldest son of Archibald Alexander, James was raised in a household filled with theological giants of the faith. His father was the president of Hampden-Sydney College at that time. But by the time that schooling had begun for James, his father had taken the pulpit of the Third Presbyterian Church in Philadelphia, Pennsylvania in 1807. Then in 1812, the new seminary called Princeton began in New Jersey, and the Alexander family moved there, as Archibald Alexander became the first professor of that new divinity school. Young James graduated from the College of New Jersey in 1820. And while he studied theology at Princeton Seminary from 1822–1824, he would not be ordained by the historic Hanover Presbytery until 1827, having first served about three years as a tutor. (This seems to have been a common practice in the 19th-century, where men would first serve as a tutor for several years before seeking ordination.). He began his pastoral ministry as stated supply of the Presbyterian church in Charlotte Court House, Virginia for a year, and was then pastor of that church for another year. The rest of his life and ministry had him variously teaching at both college and seminary in Princeton, interspersed with pastoral ministry in Trenton, New Jersey and New York City Presbyterian churches. He was involved in some of the biggest seasons of revival and reformation during those middle decades of the eighteen hundreds. The New York City prayer revival took place in his church in 1857, which then spread through the noon prayer meetings among many denominations and around the country. In the midst of his ministry, the Old School / New School division took place in the denomination. Through it all, James Alexander proclaimed Christ to the masses. One of the highlights of his ministry was his hymn writing and related translation work. Perhaps his most famous translation was that of the familiar words to “O Sacred Head, Now Wounded.” His 1830 translation of the eleventh-century poem by Bernard of Clairvaux is the version most used by our churches today. Words to Live By: As we contemplate that last comment of James Alexander on his death-bed, who among believers could not echo these same words and thoughts? We have no right from ourselves to gain heaven. It is only through Christ’s love and forgiveness that we have been given the key to heaven’s door. Christ Jesus is the object of our faith, and the only object. Let that be your assurance both here, and hereafter. July 30: H. Lenox Hodge, M.D. The hour being late, today’s entry is drawn directly from Alfred Nevin’s Encyclopedia of the Presbyterian Church (p. 333), with just a little elaboration. H. Lenox Hodge was born in Philadelphia, July 30th, 1838. 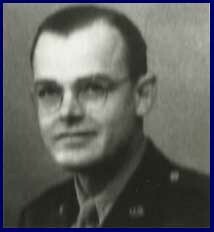 His father was the eminent physician, Dr. Hugh L. Hodge. 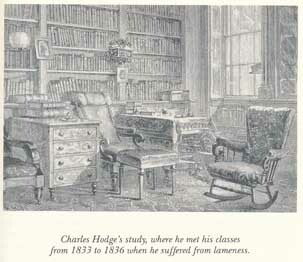 [His uncle was the equally eminent Princeton Seminary professor, Dr. Charles Hodge]. 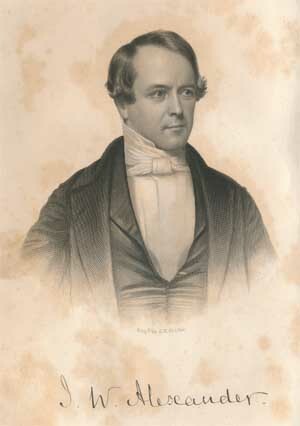 Lenox received a collegiate education, which terminated in 1855, in his native city, and afterwards studied medicine at the University of Pennsylvania, where he graduated in 1858. In the Fall of the same year he became resident physician of the Pennsylvania Hospital, retaining that office till the Spring of 1860, when he opened an office for the practice of medicine in Philadelphia. He was appointed Demonstrator of Surgery in the University of Pennsylvania, and, in 1861 commenced giving instruction to private classes, on Chestnut Street, between Ninth and Tenth Streets, and subsequently lectured in Chant Street, on Anatomy and Operative Surgery. During the Civil War, Dr. Hodge served at West Philadelphia’s Satterlee Hospital, and he was also attached to the Pennsylvania Reserve Corps of Surgeons, serving as a field surgeon at Yorktown, Fredericksburg, and Gettysburg. In 1870 he was appointed Demonstrator of Anatomy in the University of Pennsylvania, and was, for nearly ten years, attending surgeon at the Children’s Hospital. At the opening of the Presbyterian Hospital, in 1872, he was appointed attending surgeon to that institution. Dr. Hodge, by his talents, industry, integrity and energy, attained a high rank in his profession. He was a gentleman of polished address and peculiar benevolence. For a number of years he was an exemplary, active and useful ruling elder in the Second Presbyterian Church. Removed by death, in the midst of his years, June 10th, 1881 [surviving his uncle by not quite three years, Charles Hodge dying in 1878], he bore his last and lingering illness with marked resignation, and left the record of one who had adorned all the relations of life by his cultivated intellect, kind disposition, and exemplary Christian character. At the time of his decease he was a member of many medical societies and associations. When we think of Christians who are, or were, medical doctors, the easy association is to the New Testament author, Luke, who wrote one of the four Gospels, as well as the Book of Acts. Next to the pulpit ministry, the medical profession is perhaps preeminently an appropriate one for Christians, focused as it is on the art and science of healing. As much as we need to be reminded to pray for our pastors, don’t we also need to be praying for doctors and other medical professionals? In a culture that seems fixated on death (Prov. 8:36), Christians in the medical profession face unique challenges today. The College of Physicians of Philadelphia maintains an archival collection of Dr. Hodge’s case notebooks. The finding aid for that collection can be viewed here. H. Lenox Hodge was buried in the Laurel Hill Cemetery in Philadelphia. His gravesite, with an accompanying photograph, can be viewed here. Considered by many to have been the foremost educator in the South, Moses Waddell was of Irish parentage and was born in Rowan (now Iredell) county, North Carolina, on July 29th, 1770. He received his academic education at a school which was opened in the neighborhood under the name of Clio’s Nursery. For four years, beginning at the age of fourteen, he was engaged as a teacher (1784-1788) at various places in North Carolina and Georgia. Leaving his employment as a teacher, he enrolled as a student at the Hampden-Sydney College, graduating there in 1891. The next year he was licensed to preach by the Hanover Presbytery, of Virginia, on May 12, 1792. About 1793, Waddell opened his first school in Columbia county, Georgia, then another in 1801, in Vienna, Abbeville District, South Carolina. He remained in that work until 1804, when he removed to Willington, six miles south of Vienna, and it was at Willington where he founded the famous Willington Academy. It was common for Presbyterian pastors to maintain an academy, in part for the extra income, and in part because they could thus guide the moral, religious and intellectual education of the children of their parish. All of these schools were designed as preparatory schools, utilizing a classical education model. As the fame of the Willington Academy grew, it came to be called the “Eton in the woods”. To give one example of the school’s rigor, students were required to memorize, translate and recite some 250 lines of Greek or Latin every night. A Willington graduate, South Carolina governor George McDuffie, held the record, having once recited over 2200 lines of the poet Horace. In 1818, Waddell was elected President of what was then Franklin College, later to become the University of Georgia. However, he did not actually step into the duties of this office until May, 1819. While serving as an educator, he also labored as a pastor, founding the Presbyterian Church in Athens, Georgia in 1820. During his tenure at the University, the school prospered greatly, and he continued here as President until 1829. Resigning his post, he returned to Willington. For forty-five years he had labored as a teacher. His labors as a pastor continued another six or seven years more, and the Rev. Dr. Moses Waddell’s life drew to a close on July 21, 1840. “The boys called him ‘Old Moses,’ and while he believed in corporal punishment, he never spanked in a passion, and it finally evolved that he did this only upon a verdict of a peer jury of students. He never spanked for a deficient lesson but chiefly for defects in morals or actions that had to be punished. “He was a cheerful man even playful in his disposition. He maintained a personal interest in each boy. He had a wry sense of humor. When boys on second floor dumped water on him as he went in a door, he said nothing, but later raised an umbrella as he went in the door to the delight of the boys. “His strength seems to have been to analyze the boys accurately, then demanded accordingly. He was not a man who used sentiment to escape facing the laziness of adolescence. He demanded. They groaned, they gave, they griped, they worshiped him later. There was a chestnut tree outside the Doctor’s study window that the boys remembered watching as they waited to see the Doctor if they had done anything wrong. Others would climb it to see if anyone was punished by him. In The Great Doctor Waddell, by Dr. James McLeod, the author provides a compilation of the students educated under Waddell. The list includes two Vice-Presidents, three Secretaries of State, three Secretaries of War, one Assistant Secretary of War, one US Attorney-general, Ministers to France, Spain and Russia, one US Supreme Court Justice, eleven governors, seven US Senators, thirty two members of the US House of Representatives, twenty two judges, eight college presidents, seventeen editors of newspapers or authors, five members of the Confederate Congress, two bishops, three Brigadier-generals, and one authentic Christian martyr. It was on this day, July 28, in 1881 that John Gresham Machen was born. For our Lord’s Day message today, the following message from Dr. Machen was first presented before a meeting of the League of Evangelical Students, a campus ministry which Machen had helped to organize in 1925. His words here remain timely for us today. FACING THE FACTS BEFORE GOD. In the nineteenth chapter of the Second Book of Kings, we are told how Hezekiah, King of Judah, received a threatening letter from the Assyrian enemy. The letter contained unpalatable truth. It set forth the way in which the King of Assyria had conquered one nation after another—and could the feeble kingdom of Judah escape? When Hezekiah received the letter, there were three things that he could do with it. In the first place, he could obey its behest; he could go out and surrender his kingdom to the Assyrian enemy. In the second place, he could refuse to read the letter; he could ignore its contents. Like another and worse king, with a far better communication than that, he could take out his king’s penknife and cut it up and throw it bit by bit contemptuously into the fire. As a matter of fact, Hezekiah did neither of these two things. He took the letter with all its unpalatable truth, and read it from beginning to end; he did not close his eyes to any of its threatening. But then he took the letter, with all the threatening that it contained, spread it open in the presence of Almighty God, and asked God to give the answer. Now we too, believers in the Bible and in the blessed gospel that it contains, have received a threatening letter. It is not a letter signed by any one potentate, like the King of Assyria; but it is a collective letter signed by the men who are dominating the world of today and dominating to an increasing extent the visible Church. It is a letter breathing out threatenings of extinction to those who hold to the gospel of Jesus Christ as it is set forth in God’s Word. That letter is signed by the men who are dominating increasingly the political and social life of the world. That was not true fifty years ago, at least not in English-speaking countries. Then, to a considerable extent, in those countries at least, public opinion was in favor of the gospel of Christ. Today, almost all over the world, public opinion is increasingly against the gospel of Christ. The letter of threatening against the gospel is signed also by the men who are dominating the literary and intellectual life of the world. To see that that is true, one needs only to read the popular magazines and the magazines that appeal to persons of literary and intellectual taste; or one needs only to read the books of the day or listen to what comes “over the air”. The threatening letter is also signed, alas, by the men who are in control of many of the larger branches of the Protestant Church. In the Presbyterian Church in the U. S. A., for example, to which the writer of this article belongs, four out of eight ministerial members of the Permanent Judicial Commission, which is practically the supreme guardian of the doctrine of the Church, are actually signers of a formal document commonly called the “Auburn Affirmation” which declares to be non- essential even for the ministry the virgin birth of our Lord and four other great verities of the Christian faith; and very slight indeed is the representation of any clear-cut and outspoken evangelicalism in the boards and agencies of the Church. In many other ecclesiastical bodies, the situation, from the Christian point of view, is even worse than it is in ours. But it is in the colleges and universities and theological seminaries that the threatening letter against the gospel of Christ has been most generally signed. In the faculties of some of our great universities today, you can count almost on the fingers of your two hands the men who believe in the gospel in any definite and outspoken way, and in the student bodies individual believers often seem to themselves to be standing nearly alone. When we receive this threatening letter, there are three things, that we may do with it. In the first place, we may obey its behest; we may relinquish our belief in the truth of the Bible; we may simply drift with the current of the times. Very many students in colleges and universities and theological seminaries have made that choice. They came from Christian homes; they are the subject of the prayers of godly parents. But the threatenings and persuasions of the unbelieving world have apparently been too strong for them. They have been unwilling to adopt the unpopular course. And so they have made shipwreck of their faith. In the second place, we may refuse to read the threatening letter; we may close our eyes to the unpalatable truth that the letter contains. We may say, as so many are saying today, that the Protestant churches of our own country and of the other countries of the world are “fundamentally sound”; we may cry “Peace, peace; when there is no peace”; we may dig our heads like ostriches in the sand; we may refuse to attend to the real situation in the Church and in the world. I pray God that we may never adopt this method of dealing with the letter of threatening; for if there is one thing that is preventing true prayer today, it is this foolish optimism with regard to the state of the times, this refusal of Christian people to face the true seriousness of the situation in which we stand. But there is a third choice that we may make when we receive the threatening letter against the gospel of Christ. We may take the letter and read it from beginning to end, not closing our eyes to the threatening that it contains, and then lay the letter, with all its threatenings, open in the presence of Almighty God. There we have a clear facing of the situation as it actually is and a brave willingness, despite that situation, to stand for the defense and propagation of the gospel of Christ. Certain objections are sometimes raised against this method of dealing with the letter of threatening that has come to us today from a hostile world. In the first place, we are sometimes told, it will discourage the faith of timorous souls if we tell them thus plainly that the world of today is hostile to the gospel of Christ; it will offend Christ’s little ones, men say, if we bid them open their eyes to the real strength of unbelief in the modern world. But our Lord, at least, never used this method of raising false hopes in those whom He called to be His disciples. He told those who would follow Him to count the cost before they took that step, not to be like a man who starts to build a tower before he has funds to complete it or like a man who puts his hand to the plow and then draws back. He never made it easy, in that sense, to be a disciple of Him (though in another and higher sense His yoke was easy and His burden light); and any faith in the Lord Jesus Christ which is based upon the vain hope that a man can be a disciple of Christ and still have the favor of the world is a faith that is based on shifting sand. No, it is a poor religion which makes a man willing only to walk in golden slippers in the sunshine; and such a religion is bound to fail in the time of need. In the second place, however, men say that if we face the real condition of the times, we shall be guilty of stirring up controversy in the Church. No doubt the fact may be admitted. If we face the real situation in the Church and in the world, and decide, despite that situation, to stand firmly for the gospel of Christ, we shall be very likely indeed to find ourselves engaged in controversy. But if we are going to avoid controversy, we might as well close our Bibles; for the New Testament is a controversial book practically from beginning to end. The New Testament writers and our Lord Himself presented truth in sharp contrast with error, and indeed that is the only way in which truth can be presented in any clear and ringing way. I do not know all the things that will happen when the great revival sweeps over the Church, the great revival for which we long. Certainly I do not know when that revival will come; its coming stands in the Spirit’s power. But about one thing that will happen when that blessing comes I think we can be fairly sure. When a great and true revival comes in the Church, the present miserable, feeble talk about avoidance of controversy on the part of the servants of Jesus Christ will all be swept away as with a mighty flood. A man who is really on fire with his message never talks in that feeble and compromising way, but proclaims the gospel plainly and boldly in the presence of every high thing that is lifted up against the gospel of Christ. If we do adopt this method of dealing with the present situation in the Church and in the world, if we spread the threatening letter of the adversaries unreservedly before God, there are certain things that God tells us for our comfort. When Hezekiah adopted that method in his day, God sent him Isaiah the son of Amoz, greatest of the prophets, with a message of cheer. But He has His ways of speaking also to us. In the first place, he tells us for our comfort that this is not the first time of discouragement in the history of the Church. Often the gospel has seemed to superficial observers to be forever forgotten, yet it has burst forth with new power and set the world aflame. Sometimes the darkest hour has just preceded the dawn. So it may be in our time. In the second place, He tells us that even in this time of unbelief there are far more than seven thousand that have not bowed the knee to the gods of the hour. In these days of doubt and defection and hostility, there are those who love the gospel of Jesus Christ. And how sweet and precious is our fellowship with them in the presence of a hostile world! In the third place, God tells us not to be too much impressed by the unbelieving age in which we are living now. Do you think that this is a happy or a blessed age? Oh, no, my friends. Amid all the pomp and glitter and noise and tumult of the age, there are hungry hearts. The law of God has been forgotten, and stark slavery is stalking through the earth —the decay of free institutions in the State and a deeper slavery still in the depths of the soul. High poetry is silent; and machinery, it almost seems, rules all. God has taken the fire of genius from the world. But something far more than genius is being lost—the blessing of a humble and virtuous life. There was a time, twenty-five years ago, when we might have thought that Christian living could be maintained after Christian doctrine was given up. But if we ever made that mistake, we must abandon it today. Where is the sweetness of the Christian home; where is the unswerving integrity of men and women whose lives were founded upon the Word of God? Increasingly these things are being lost. Even men of the world are coming to see with increasing clearness that mankind is standing over an abyss. I tell you, my friends, it is not altogether an argument against the gospel that this age has given it up; it is rather an argument for the gospel. If this be the condition of the world without Christ, then we may well turn back, while yet there is time, to that from which we have turned away. That does not mean that we should despise the achievements of the age; it does not mean that we should adopt the “Touch not, taste not, handle not” attitude toward the good things or the wonders of God’s world which Paul condemned in his day; it does not mean that we should consecrate to God an impoverished man, narrowed in interests, narrowed in outlook upon the marvellous universe that God has made. What it does mean is that we should pray God to make these modern achievements not the instruments of human slavery, as increasingly they are threatening to become, but the instruments of that true liberty which consists in the service of God. But the deepest comfort which God gives us is not found even in considerations such as these: it is not found in reflections upon God’s dealings during the past history of the Church; it is not found in our fellowship with those who love the gospel that we love; it is not found in observation of the defects of this unbelieving age. Valuable are all these considerations, and great is the assurance that they give to our souls. But there is one consideration that is more valuable, and one assurance that is greater still. It is found in the overwhelming glory of the gospel itself. When we attend to that glory, all the pomp and glitter of an unbelieving age seems like the blackness of night. How wonderful is the divine revelation in God’s Word! How simple, yet how majestic its presentation of the being of God; how dark its picture of the guilt of man; how bright against that background its promise of divine grace! And at the centre of all in this incomparable Book there stands the figure of One in whose presence all wisdom seems to be but folly and all goodness seems to be but filthy rags. If we have His favor, little shall we care henceforth for the favor of the world, and little shall we fear the opposition of an unbelieving age. That favor is ours, brethren, without merit, without boasting, if we trust in Him. And in that favor we find the real source of our courage in these difficult days. Our deepest comfort is found not in the signs of the times but in the great and precious promises of God. For today’s post, we’ve pulled our founding author out of a premature retirement, and are pleased to have his contribution, which concerns his elder brother, the Rev. John Andrew Myers, IV. Can Anything Good Come out of Thunder Hawk? Bible readers might remember the famous question of the future apostle Nathaniel upon being informed by his friend Philip, that Jesus the Messiah from Nazareth had been found. Nathaniel asked, “Can anything good come out of Nazareth?” (John 1:45, 46) We might as well ask the question of this post, “Can anything good come out of Thunder Hawk?” Named for a famous Indian chief of the Sioux tribe, the tiny South Dakota town was the site of the birth of John Andrew Myers IV in 1936. Why there, you ask? Because that was one of the preaching points of the famous “Athboy Circuit” of mission stations of the Rev. David K. Myers. And John was his first son born into his family. Later that year, Rev. Myers would move his family to Lemmon, South Dakota and begin the first Bible Presbyterian church in the nation. John was a sickly child in his birth. In fact, he was not expected to live long after his birth. His mother, Hannah Myers, was also expected to die from this difficult pregnancy. The husband and father would spend hours on his knees praying that in God’s will, both wife and son would be spared from death’s dark door. Added to his inner turmoil was the outward turmoil of circumstances around his ministerial ordination. All of this occurred around the difficult days which occasioned his forced departure from the Presbyterian Church USA over the issues associated with the Independent Board for Presbyterian Foreign Missions, of which our readers of these posts should be familiar. God was gracious in granting his request. His wife and first son were preserved in life. In his early years, like the rest of the family, John traveled with his military chaplain father to Army installations around the world. In time, he attended Shelton College, located in Ringwood, New Jersey, graduating in 1958. In addition to his degree, he married a college coed from Shelton named Janice Corby, who greatly aided his future home life and ministry. And to prepare for the latter, he went to and graduated from Faith Theological Seminary in 1961. Ordained into the Bible Presbyterian church, he served two B.P. congregations in Ohio and Delaware. Leaving the Bible Presbyterian denomination, John, Janice, and their family of four traveled to Tennessee to pastor two more Presbyterian Churches in that southern state. Eventually, through the Joining and Receiving process by the Presbyterian Church in America and the Reformed Presbyterian Church Evangelical Synod, in which the latter body, John was a member minister, he became a pastor in the Presbyterian Church in America in 1982. Due to complications from diabetes, John suffered the loss of both his lower limbs in his latter days. Still his dedication to the spiritual needs of the Church would be evident as he, now equipped with prosthetic legs, with obvious difficulty walked to many a podium to pray for revival in the visible church and a spiritual awakening in our land. As Rev. Myers so faithfully attended the National Days of Prayer, (never missing a time), another participant once confessed that seeing his example, he knew he had no excuse not to attend. Clearly something good, by God’s sovereign grace, did come out of Thunder Hawk, South Dakota. God would call John Myers home to Himself on July 27, 2003. It wasn’t God’s sovereign will to take John Myers home to heaven in his infant years, simply because God’s Spirit had important work for him to do in His service. And he was faithful in that work of ministry in four congregations. Faithfulness to God’s Word is ever the key to a successful ministry. Let others look to numbers, offerings, and buildings. Keep your eyes on God and serve Him faithfully. God will bring the increase He intends, in His time. For today’s post, we have the Rev. Caleb Cangelosi, pastor of Grace Presbyterian Church in Cookeville, TN, as our guest author, writing on one of the most renowned men of the old Southern Presbyterian Church. Probably no man in our time was more widely known in these United States than Dr. Plumer. His reputation as a preacher secured for him great audiences wherever he went. Those who did not care for the ordinances of God’s house, and who rarely attended any place of worship, would flock to any church where it was known that he would officiate. He touched society at so many points and had so many ways of impressing himself on the public that his reputation extended far and wide. As an editor; as a contributor to the periodical press; writing for reviews, for magazines, for the publication boards of all denominations; as the author of commentaries on the Scriptures, and many religious books, some of which were republished in Europe, and others translated into German, French and Modern Greek; as a professor in two theological seminaries, which have sent forth hundreds of ministers, with his impress upon them, to labor in every part of the world; as a lecturer before literary institutions and benevolent associations; as a correspondent, writing innumerable letters, especially to those whom he knew to be afflicted and bereaved, letters full of sympathy and consolation; in all these and many other ways, he gained the eye, the ear and heart of the great public, by availing himself of every channel of communication and every avenue of usefulness. Born on this day in 1802, Dr. Plumer passed into glory on October 22, 1880. Thus his life spanned nearly the entire nineteenth century, and his ministry traversed the high points of that century’s controversies. He was born in Greersburg, Pennsylvania, a small town northwest of Pittsburgh, to Presbyterian parents. His family eventually settled in Washington County, Ohio, along the banks of the Ohio River outside present day Marietta. His father was a river trader, and as he grew up he desired to obtain a liberal education and one day become a doctor. Though he had grown up in a Presbyterian home, hearing the gospel from his earliest days, yet it was not until the age of 17 that the Lord saw fit to convert him, through the ministry of a Congregationalist minister serving in a Presbyterian Church under the 1801 Plan of Union. In Plumer’s own words, “I surrendered to God’s will & ways. I saw a beauty & fitness in the plan of salvation. I saw it was right that God should rule everywhere, in particular in me & over me. I at once desired to honor him in every possible way, &, in particular, if he would open the way, I desired to serve him in the ministry of the gospel. For my idol, medicine, I now cared nothing. I was not ashamed to let all the world know that I loved Christ.” His sense of call to the ministry accompanied his conversion, and he moved to Lewisburg, Virginia, to study at the classical school of Dr. John McElhenny. In 1822 he began attending Washington College, in Lexington, Virginia, and in 1825 he enrolled at Princeton Seminary. He completed his studies in September 1826, and was ordained as an evangelist in May 1827. His ministry was primarily in the South. He planted several churches across Virginia and North Carolina, and after marrying in 1829 he became the Stated Supply of Briery Church in Prince Edward County, Virginia. In October 1830 he was, for the first time, installed as pastor of Tabb Street Presbyterian Church in Petersburg, Virginia. In 1834, he moved to First Presbyterian Church in Richmond, Virginia, where he labored until 1846. It was during this pastorate that he cemented his reputation as a preacher, presbyter, and theologian. He was present as a commissioner at the 1837 General Assembly that saw the Plan of Union abrogated, and the Old School and New School split. In fact, though only 34 years old, he was one of the primary advocates for abrogation; William Henry Foote states that Plumer’s speech “changed the fate of the question,” swaying those on the fringe to vote against the Plan of Union. Upon returning home, and discovering that Amasa Converse and his Southern Religion Telegraph supported the New School, Plumer began the Watchman of the South, an Old School newspaper he edited until 1845. Due to Plumer’s sound theology and wide influence, the 1838 General Assembly elected him as Moderator at the young age of 35. In proportion as men are truly pious, they make [Christ] the foundation and top-stone, the sum and substance and centre of all their hopes and rejoicings. He is believed on in the world, not merely because there is no other way of salvation, but because this way is so admirably adapted to all the necessities of sinners, and because it brings glory to God in the highest. The true believer not only trusts in Christ; he glories in him. He not only makes mention of him; he admits none into comparison with him…We sadly err, when we begin in the spirit, and end in the flesh; when we regard Christ as the author but not the finisher of faith. A legal spirit is the bane of piety. It is as great a foe to comfort as it is to gospel grace. Through the law believers are dead to the law that they might live unto God. This is the gospel plan. Here is the secret of growing conformity to God. Here is power, here is wisdom, here is life. We are complete in him. Though nineteenth century Presbyterians, especially in the South, are well known for their reflection on ecclesiology, Plumer’s writings demonstrate that there was a breadth and depth to their theologizing that we often fail to see in them. Plumer’s time at Western Seminary came to an end in 1862, as members of the Central Presbyterian Church (which he had pastored since 1855) became upset that he would not during corporate worship ask “God’s blessing upon the Government of our country in its efforts to suppress rebellion,” nor would he “give thanks to God for the victories which God has granted our armies.” Some have interpreted his inaction as due to pacifism. It is more likely that he was motivated by a conviction that the question of the war was a political question with which God’s ministers had nothing to do as such, coupled perhaps with Southern sympathies. Further research would be needed to discover the truth, but in any event, he resigned both pulpit and seminary chair, and five years later the Southern Presbyterian Church elected him to fill Dr. Thornwell’s chair of Didactic and Polemic Theology at Columbia Theological Seminary. During those intervening years, Dr. Plumer continued to write. Some of his most familiar books, including treatises on the law of God, experimental piety, and a commentary on the Psalms, were produced during this time. Till his final months he was actively involved in preaching, teaching, writing, pastoring God’s people, and participating in church courts. 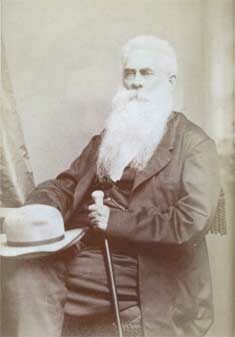 In 1871 he was elected for a second time as Moderator of the General Assembly, this time of the Southern Presbyterian Church. Commentaries on Romans and Hebrews, as his Helps and Hints in Pastoral Theology, came out during the last years of his life. Unfortunately, though, his time at Columbia ended on a low note, as he was embroiled in disputes with other seminary professors, and many became disillusioned with his pedagogical effectiveness. At the 1880 General Assembly he was, against his wishes, made Professor Emeritus. A few months later, following complications from kidney stone surgery, he died. To our loss, no Life and Letters was ever written of Dr. Plumer, perhaps in part because he had only two daughters and no sons (though one of his grandsons was a minister in the Southern Presbyterian Church). Yet his life was full and useful, and his writings call for our perusal and digestion. Several of his last words close this brief survey of his life and work. Upon being asked, “Do you suffer much, Doctor?” he replied, “Not nearly as much as my Saviour did.” When a visitor exclaimed, “I am sorry to see you suffer so, Doctor!” he responded, “One who loves me better than you do put me here.” When the word submit was used, he said, “Perhaps acquiesce is a better word for the Christian to use. We may submit, because we are obligated to – but the Christian cheerfully, joyfully yields all to his Lord’s will.” These sayings show the heart of this servant of Christ, devoted in every way to our reigning King who suffered for our salvation. A Pastor’s Farewell to his Study. Providence has assigned me another location, and I must leave, among other places greatly endeared, that upper chamber, called the study. It is now more than twenty years since I first took possession of it. It seemed an interesting locality then; but how much has occurred since to give the place a deeper hold upon my mind. Sermons have been studied out here, with long and earnest thought. And there they lie on that shelf, piles of them. They have had their day. The simple author thought quite highly of, now and then, of one of them, when in the glow and excitement of effort he finished the last sentence. But the mist in which they loomed up so auspiciously, has passed away and their glory has drooped sadly. He does not exactly know how much light they gave at first; but he has tried some of them lately, and he has the comfort of saying, they ignite freely, and give a cheerful radiance in the place of the ordinary kinds of in-door illumination. There are ranges of books. Old men are there—fathers and ancients. And young men are there; some of them wiser than their fathers—others less so. They have stood there through slowly rolling years. They disagree, some of them, with each other. And the words of some of them are like those of a fierce hussar in anger with his fellow. But they have not broken the peace of the study, standing quietly side by side. There is a book. As I look at it in its place upon the shelf, it awakens interesting trains of thought. I will take it down and read the inscription on the fly-leaf. The hand is fair, and the heart was warm that dictated the utterance made by that pen. But they use no such things where the writer has gone. It is a good book—a good man gave it, who has gone to be with the good. And good the work did me. It will outlive me, and do good to others. I love to pray for those who may yet use those books. They will soon be scattered. Let them go. They have been my pleasant and profitable companions in the study; may they go and do good, yet greater good to others. I look round about the study. That map of the world, how often I have gazed upon it, as I looked to see where moral darkness yet reigns unbroken and again to see where the kingdom of Christ has come in the place of Satan’s kingdom. That map has been a powerful preacher. Silently it revealed to me those works of God, the continents, the islands, the oceans, the kingdoms. That map has hung long against the wall. Often as I rested from driving the pen, and looked up, it caught my eye. There was the world—light and shadow—civilization and barbarism—delusions hoary with age, fortified as by mountains and rocks, in the depravity of the heart, and there was Christianity, a little cloud in the vast horizon, but bright and growing brighter, and hastening to fill all lands with its brightness. I am much obliged to that map. It has made many valuable moral impressions upon my mind. Another book arrests my eye. A note, in a fair hand, is pasted on a fly-leaf, and it reads, “Presented to our pastor by his Bible Class: a small token of their gratitude for his labors for their good.” The writer was one of the liveliest of youthful saints, and long since went to the presence of that other Teacher, who leads his friends to living fountains of waters. I muse on. In this room have been numbers of anxious inquirers. “Hit of the archer,” they came in here, sore wounded, and would fain know how they might be healed. Some were healed while here, for the Great Physician was present; and many more, following counsels here given, went away and soon after, “touching the hem of his garment, were made whole.” They will never forget this room. Here have been those—their number is great—who came here to ask, if Zion’s gates were open to them, for, hoping in the Saviour’s mercy, they would fain confess him before men. They told us, who watched at Zion’s gates, why they wished to come. And most touching tales have here been told of the anguish of conscious guilt, and of the terrible gloom of a soul that had no God, of conflict and struggle and temptation, of light dawning upon darkness, of the calm that followed the storm, of a Saviour found, trusted, loved, enjoyed. Ornaments they became of Zion below, though not a few of them have gone up higher. But I must leave the study. Much it has to do with time, more with eternity—a place of wearisome toil though often of joyful labor; a place of anxiety and care, mingled with gleams of light from the celestial land; a place where God was sought for the anxious pastor’s own soul—oftener for the souls of others; a place, a humble Pisgah, where glimpses were caught, at times, of the Delectable Mountains and the Celestial City! My study! Others will look out of those windows on the pleasant scenery—on the verdant hills and meadows here, and on the glorious ocean yonder. Other voices will be heard within these walls. Others will be here, who have never known what joys and sorrows have been here before them. May it still be a hallowed place, honored by the occupancy of Pilgrims to nobler mansions above; a place where others shall try the power of prayer, and know the sweetness of submission, the strength of faith, the joy of hope, and all the sacred pleasures which flow from communion with God, the Infinite One, and the invisible world. We seem to be designed for places. Whether our home, our study, or our church, we place a special value on these places and derive an earthly comfort from them unlike any other. But this world is passing, and God has designed us to have an eye on our eternal home, that we might walk before God in the light of the living. As we seek His mercy and grace, may our surpassing comfort be found in Christ alone. As we grow in the grace and knowledge of our Lord and Savior, may we be made ready to worship God in sweet fellowship, through all eternity. Tags: Bible Class, Great Physician, Great Shepherd, Hixson Presbyterian Church, Infinite One, Sr. Drawing from three separate quotations, we have in short compass the story of Jenny Geddes and her little wooden stool, which God used to bring about a revolution and return to biblical truth. Somewhere here in the Archives we have a photograph of what that little stool probably looked like. Perhaps later today that photo can be added to our post. Two years ago, while walking about in Old St. Giles’ church in Edinburgh, with Dr. W. G. Blaikie, whose fame as author, scholar, and preacher, is known throughout the Presbyterian Church, he said, ― this is the first time I have been here in seventeen years. And yet this is the church in which Knox preached and Jennie Geddes worshipped. Here she threw the famous stool at the head of the Dean who was reading the liturgy, under orders from King Charles. The outburst of popular indignation, occasioned by this act, was the beginning of the great struggle for religious liberty in Scotland. The war in behalf of purity in religion began in Scotland. Archbishop William Laud [1573-1645] prepared a new Prayer-book and sent it to Edinburgh for the use of the churches. On July 23, 1637, the priest of St. Giles Church came forth in white surplice to read the new ritual. Jennie Geddes flung her stool at his head, and a riot drove the minister from the chancel. All Scotland arose in arms against Laud’s innovations, and in 1638 the National Covenant was signed, binding the Scottish people to labor for the purity and liberty of the gospel. In the same year, at Glasgow, the General Assembly of the Church of Scotland deposed the bishops and re-established the Presbyterian system. Two brief wars with Scotland were waged by King Charles, but the lack of money compelled him to summon the representatives of the people. The combatants stood face to face in the arena of debate. The issues of religious and of civil liberty were at length to be decided in a conflict between Charles Stuart and the English Parliament. It has been said, and not without a show of propriety, “that the First Reformation in Scotland was commenced by a stone cast from the hand of a boy, and the Second Reformation by a stool from the hand of a woman.” By causes in themselves so insignificant does God often produce the grandest results. Detach them from their connections, and they are nothing. Associate them with the other links in the chain of providential influence to which they belong, and they become mighty for good or for evil. The bite of a spider has caused the death of a monarch, and the monarch’s death a revolution in his empire. The Lord delights to use the weak things of this world to accomplish His purposes. You see it in the Bible—when you wanted to bless someone, you looked to bless their father (1 Samuel 17:56). Conversely, a curse on a son was understood as a curse on the father (Gen. 9:25; 1 Kings 11:9-12). All Christians want their children to grow strong in the Lord, to be greatly used in His kingdom. So when we see such a child now grown, it is understandable that we might look to the parents, to see their character and method with their children, that we might learn and profit from their wisdom. Dr. Samuel Miller, of Princeton, was a man greatly used of the Lord, and so it fitting that we should look at the life of his father, the Rev. John Miller. This day, July 22, 1791, marks the date of Rev. John Miller’s passing. John Miller was born in Boston, on December 24, 1722. By ancestry, he was the great-great-grandson of John Alden and Priscilla Mullins. His father, John Miller, Senior, had immigrated from Scotland in 1710 and found remarkable success as a manufacturer, refining sugar. The Millers had two children, John, the eldest, and Joseph, who never married and who, in early adulthood, was lost at sea during a voyage to Great Britain. John, the subject of our post today, never graduated from any college, but did manage to obtain an excellent classical education at a public school of high reputation in Boston. Here he became proficient in Latin and Greek, and it was during this time that he also came to faith in Christ and began to aim toward the pulpit ministry. In May of 1748, John was licensed to preach by the Congregational association in Boston and soon began to travel throughout the Delaware and Maryland colonies. When a call came to serve the Presbyterian church in Dover, Delaware, John returned to Boston to secure ordination. Once installed in the Dover church, it was not long before an additional call came, to also serve the Presbyterian church in Smyrna (also known as Duck Creek), which was twelve miles north of Dover. Rev. Miller’s solution was to pastor both churches concurrently, establishing his home between the two churches, some four miles from Dover. And in this arrangement he spent the remaining years of his ministerial career, serving as pastor of these two churches for over forty years. As seems so often to have been the pattern in those times, Rev. Miller had deferred marriage until he was established in a charge. But now, wasting no time, he courted and then married Margaret Millington, the daughter of a successful planter. Dr. John Rodgers of New York was on one occasion heard to pay the compliment that she was one of the most beautiful women that he had ever seen. Yet her physical beauty was exceeded by her moral beauty, and she proved to be a great blessing to her husband, to her children, and to all who knew her. Margaret was known for her good sense, for her prudence, for her skill and wisdom in keeping her home, and for her active engagement in charity towards others. Above all, Margaret’s life was characterized by an honest and sincere love of her Lord. Not long after having been settled as a pastor, Rev. Miller purchased a farm of 104 acres, and here he resided for the remainder of his life. Never a man of great means, the farm allowed him to supply many of the basic needs of his family, and by careful husbandry, allowed Rev. Miller to eventually send four sons to college. “On this estate his children were born, and from here they went forth to do good.” Of his children, two sons died in infancy, and one son died before his own passing—John, a medical doctor, who died in 1777, at age 25. The remaining children were present at his beside when the Rev. 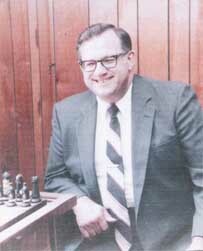 John Miller died, at the age of 69, and in the 44th year of his ministry. These were: Elizabeth [1755-1817], wife of Col. Samuel McLane; Mary [1762-1801, wife of (1) Vincent Loockerman, Jr. (he died in 1790,) and (2) wife of Major John Patten; Edward [1760-1812]; Joseph [1765-1798], who married Elizabeth Loockerman; Samuel [1769-1850], who was twenty years pastor of the Wall Street Church in New York, then Professor of Theology in Princeton Seminary; and lastly, James [1772-1795]. Thus Samuel, who never enjoyed robust health himself, was the last surviving child of the Rev. John Miller, and that by over thirty years and more. God gives us a great blessing in our children, but they belong to Him. And as difficult as it may be, our hearts must never be set upon His gifts, but always only upon the Giver.